8237 2-pc. 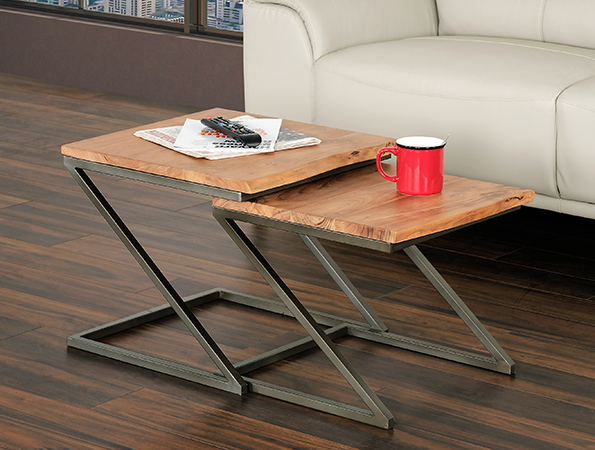 multi-functional nesting table features an Acacia wood top with metal base in contemporary design. Please note our Montreal offices will be closed Monday April 22nd for Easter Holiday.